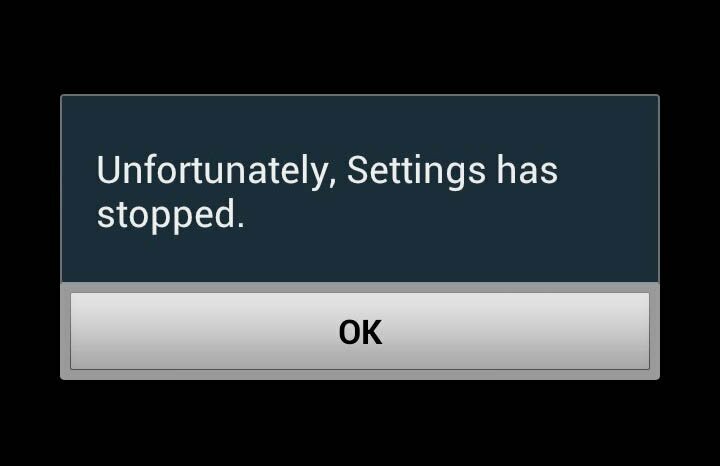 The “Unfortunately, Settings has stopped” error is not exclusive to Samsung Galaxy S4. In fact, it can happen to any Android phone in the market as it involves the service that handles all settings (default or user-specified) in a phone. The thing about this error is that it can be caused by a third-party app, pre-installed app, firmware glitch, or a hardware that won’t function. That said, you may encounter this error message after you installed a third-party app, updated a built-in app, updated the firmware to latest version or dropped your phone on the floor. In other words, you wouldn’t know when this problem happens or how it would occur. But one thing is for sure though, when it pops up, there are some serious issues with your phone. In this post, I will walk you through troubleshooting your phone in case this error happens to you. The purpose of this troubleshooting is to know what triggered the error. Once you know the cause, you can do necessary procedures to try to fix the problem. However, there’s no guarantee you can fix it on your own. It may be necessary to have a technician check your device especially if the problem involves a hardware that’s not functioning like it should. If, however, you have other issues with your phone, visit our Galaxy S4 Troubleshooting page as we’ve listed hundreds of problems we already addressed. Try the solutions we gave and if they didn’t work for you, email us at [email protected] and we will help find fixes to your problems. There’s one thing we ask though to help us figure out what your problem really is–information. The more information you provide about the problem, the more accurate our solutions are. Troubleshooting: Hi Angelina. If you’re certain that the error message started to pop up after you installed those apps, then it could be that one or two of them is causing the problem. There’s one way to find out if it’s the third-party apps that’s causing it–boot your phone in safe mode. Once the phone is in safe mode, all third-party apps will be temporarily disabled including those you recently installed. If one of them is causing the problem, the error message should not pop up in this state and if such is the case, uninstall the most recent apps you installed and try reinstalling one after another while being observant to know which one causes the Settings service to crash. However, if the error pops up in safe mode, there’s no other option but to backup your data (if possible) and reset your phone. Problem: I was recently notified that there was an available update for some of my apps including the Play Store. I let the phone automatically download and installed the updates but after everything was updated, an error message showed up, “Unfortunately, Settings has stopped.” Not really sure what the cause was or which app is causing the problem but I’m sure the error started after the update. Can you help me out in fixing this problem or getting rid of the error message please? Troubleshooting: It could have been easier if you included the name of apps you updated prior to this problem but I understand if you can’t provide it now because it’s difficult to trace which app was updated on that specific date. But based on reports of users who have also encountered this error in the past, it’s more often the Play Store updates that cause this issue. That said, it is logical enough to clear those updates off the app and see what happens. If the problem remained after you did that, then there’s no other option but to reset your phone. Troubleshooting: Hello. It’s difficult to troubleshoot a problem when there’s not enough information available. But as far as troubleshooting is concerned, let’s take a safer route in isolating the problem. The first thing you need to do is boot your phone in safe mode and see if the error still pops up in that mode. If so, then it’s the firmware that might have an issue. However, if the error message disappeared in safe mode, one of your apps may have gone haywire and created a conflict in the system. Finding the actual app may take time but disabling apps starting from the most recent installation is the only way to know the culprit without going through the hassles of backing up your data. But you should know that master reset often fixes issues like this either its triggered by just an app or it’s a problem with the firmware itself. It’s up to you to choose which procedure to take. Problem: There was an update recently, I think it was lollipop. After I downloaded it and rebooted my phone, an error keeps popping up that I can’t do anything. It says, “Unfortunately, Settings has stopped.” I curious to know what this error message means and why it keeps popping up. Frankly, it’s very annoying and if I’d known this will happen after the update, I never should have downloaded it in the first place. If you guys know how to fix this problem, please help me. Thanks. After this procedure and the problem remained, perform master reset but don’t forget to backup all your important data first. Try finding and re-enabling the “Media Storage” app. Worked for me. The only time I see this message is when I go to my settings in an attempt to add a word to my personal dictionary. Is there another way to save a word that I want to keep in my personal dictionary? Nobody has a fix for this. It’s like the red ring of death for Xbox owners. Once it happens, there’s no fix for it. Nobody is smart enough to know how to or why this glitch happens. Same thing is happening to me. I’m so frustrated right now!!! I did a master reset for the above problem. But now the phone starts but flashes the error continuously. Despite clicking on ok the popup is not getting removed. Can you please help me get rid of this problem?